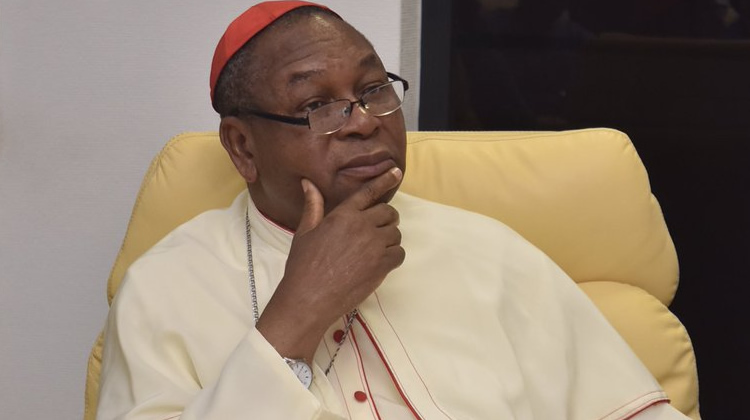 The Catholic Archbishop of Abuja, John Cardinal Onaiyekan has advised the Federal Government to ensure proper use of security agents during the election to avoid intimidation of electorate. Onaiyakan gave the advice in Abuja on Tuesday while celebrating the New Year mass at SS Peter and Paul Catholic Church, Nyanya. He said President Muhammadu Buhari had promised to ensure a free and fair election and so prayed for God’s intervention to make it come true. “It is the government that is responsible for free and fair election in any country, the government has all the necessary things to make it free and fair,” he said. “The use of security agents should be handled properly to ensure that voters are not intimidated during election,” Onaiyakan said. He prayed that Nigerians would elect good leaders in the coming election that would address the challenges of the country. Onaiyakan said that the country was faced with corruption, unemployment and poor infrastructure. Archbishop, thank you for reminding our politicians o. In fact, there is no better time to sound it to their hearing.